What a great family day out! Spend half the day fishing and half the day snorkeling the crystal clear waters, seeing all the beautiful corals and hundreds of different species of fish. We provide all fishing gear, bait, ice, meals and water. BYO alcohol and snorkeling gear. Fish for half the day/ Snorkel for the other half. 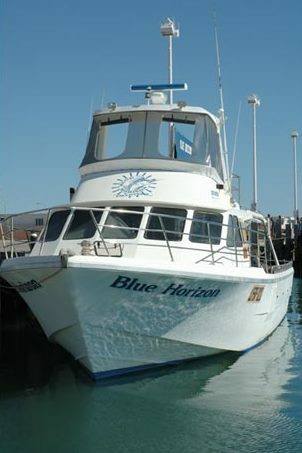 All Exclusive charters can be tailored to suit your needs. 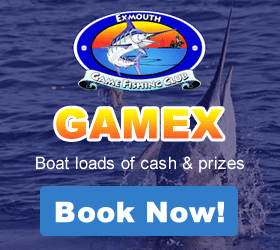 Enjoy a day on the pristine water game fishing or bottom fishing on the Blue Horizon, a luxury vessel equipped with the latest electronic equipment, 240 V power and air-conditioned. Awesome day out and I caught lots of fish. The best one was a huge Red Emperor. It was almost as big as me. 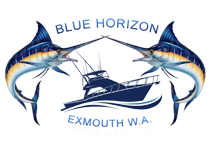 I have fished with Blue Horizon Charters for Fifteen years and have caught every type of fish native to these waters. I have been treated very well and there has always been great crew on board. The ONLY fishing charter for me! Hi Steve, Thanks to you and your crew for putting on a great day on the water last week. We thoroughly enjoyed ourselves and will be back soon. Anyone travelling to exmouth do not look past this charter! By far the most plentiful bounty filled charter I have ever been on. Extremely well worth it. So helpful and friendly. Do yourself a favour!!! !